Doing the same thing every day would simply be un-BEAR-able (see what we did there?) 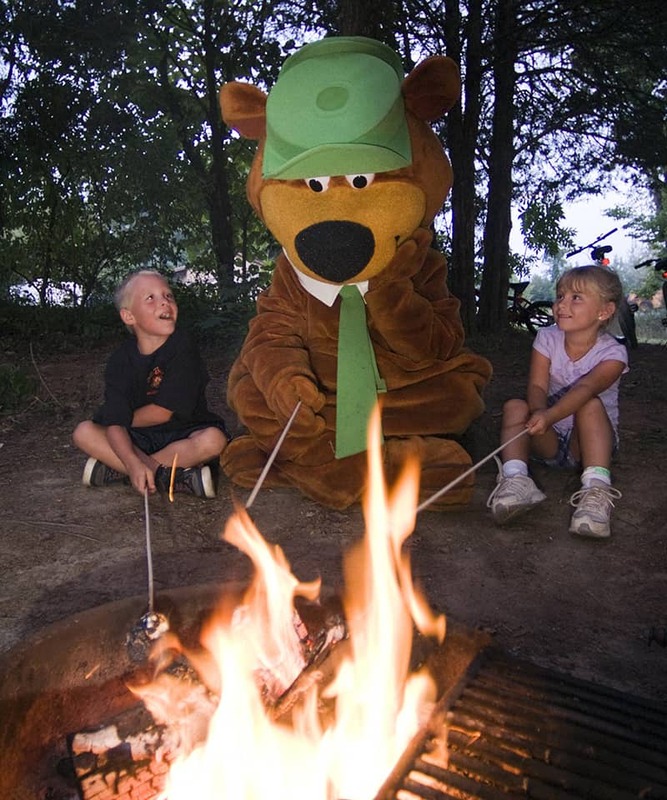 so Yogi Bear™ and the Jellystone Park™ activities team makes sure that there are fun and different things to do each day. We love having foam parties, doing arts and crafts projects, playing games, and running crazy relay races. If that’s not enough, join us in the evenings for our special events such as dance parties and our world-famous Candy Bar Bingo. Our activities schedule changes every day so be ready for anything. Our Themed Weekend calendar is a good place to get a feel for each week’s activities and events. 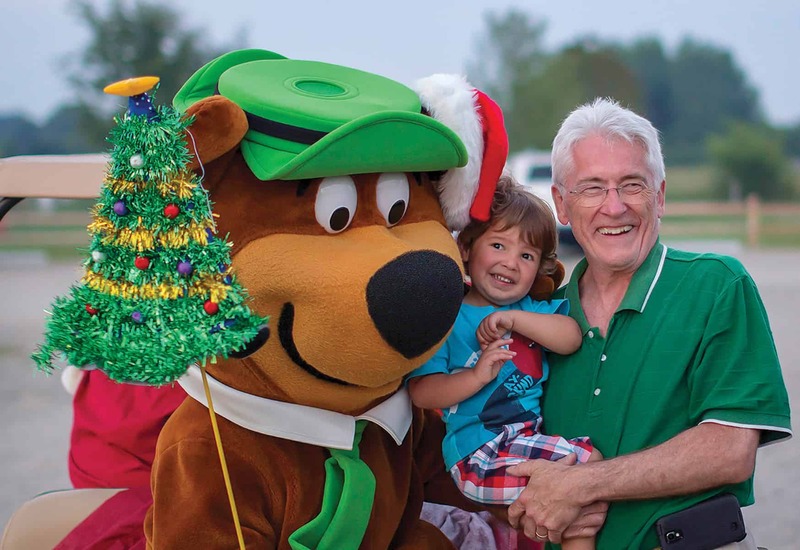 One of the best reasons to visit Jellystone Park™ is to hang out with Yogi Bear™, Boo Boo™ Bear, Cindy Bear™, and Ranger Smith™. Join one of the bears each morning at our flag raising ceremony and then keep an eye out for them all day long. Sometimes you’ll find them by the pool, sometimes they’ll be doing arts and crafts projects, and sometimes they’ll be playing games, but whenever you do see them, keep a watchful eye on your pic-a-nic baskets because Yogi Bear is sneaky. There’s a good chance you can also find Yogi, Boo Boo, or Cindy at the end of the night enjoying themselves at one of our dance parties or other special events such as movie night or Candy Bar Bingo. New for 2019! What’s more fun than a party? A foam party! Get ready to get bubbly as you are covered from head to toe in foam bubbles. 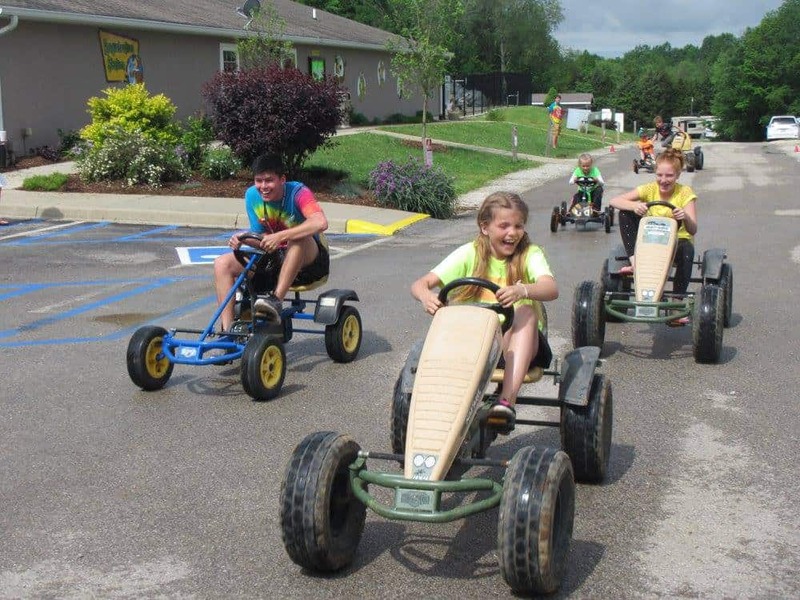 Pedal carts are a great way for the entire family to have fun, explore all that Yogi Bear’s Jellystone Park™ in Bloomington, Indiana has to offer and enjoy some exercise. Both four-person carts and two person carts are available for rent. Four seaters are $9 for 30 minutes or $12 for a full hour and two seaters are $6 for 30 minutes or $10 for a full hour. Do you feel lucky? There are gemstones, fossils, and gold nuggets buried in our mines. 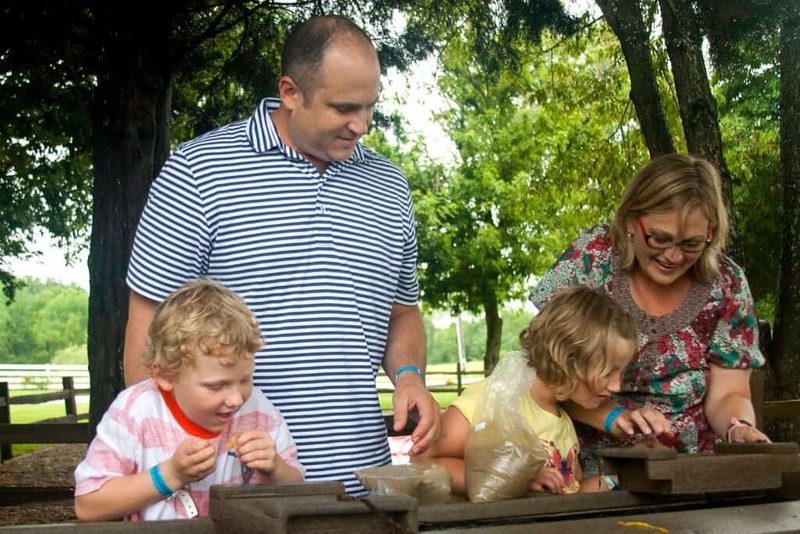 When you purchase a bag of “dirt,” you can run it through the Gem Mining sluice and discover what’s hidden in your bag. Each bag comes with an identification card so you can learn the names of the various rocks and minerals that you find. Bags are available in various sizes and price points, starting as low as $5.99. One of the many things that Jellystone Park™ locations are famous for is our crazy theme weekends. Each weekend is a different theme full of different fun activities. Check out our entire theme weekend schedule but be sure to book early as many of our most popular weekends such as Christmas in July, Chocolate Lovers Weekend and our Halloween Spooktacular Weekends sell out months in advance. Please note that all activities, events, and entertainment are subject to change and that there is a small materials fee associated with some activities.